Located just a few kilometers to the northeast of Barolo, the Barbaresco appellation extends over a smaller area, but one that likewise falls within the more ample area known as the Langhe. 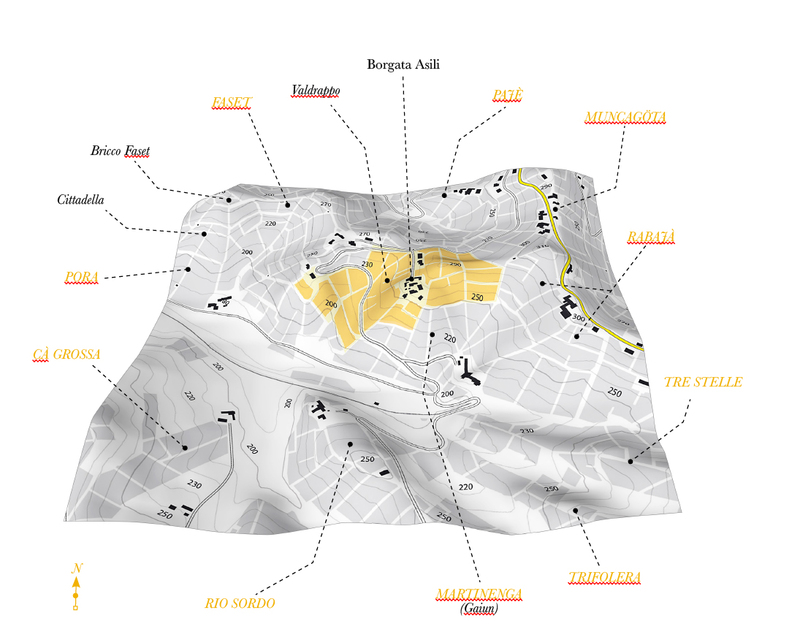 Like Barolo, Barbaresco is also part of the “Bacino terziario piemontese” (the Piedmontese tertiary basin) and is characterized by marly soils, by sandstone, and by sands of varying color and dimension of grain. 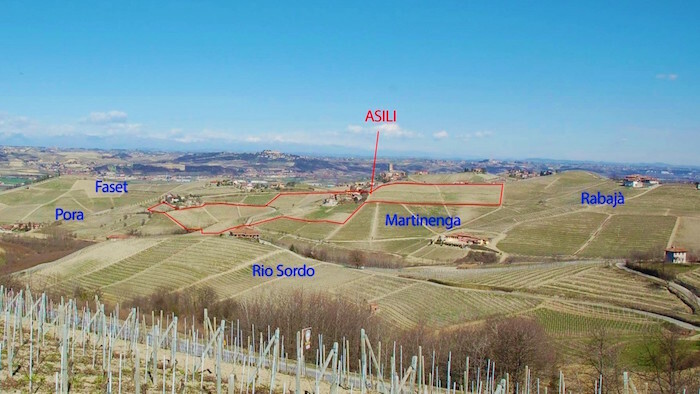 These soils can then be divided into two large categories: Tortoniano-Serravalliano and, more specifically, the Formazioni di Lequio, and Tortoniano, or the Sant’Agata Fossili Marls, two soil types which we find, respectively, at Serralunga d’Alba and at La Morra in the Barolo production zone. 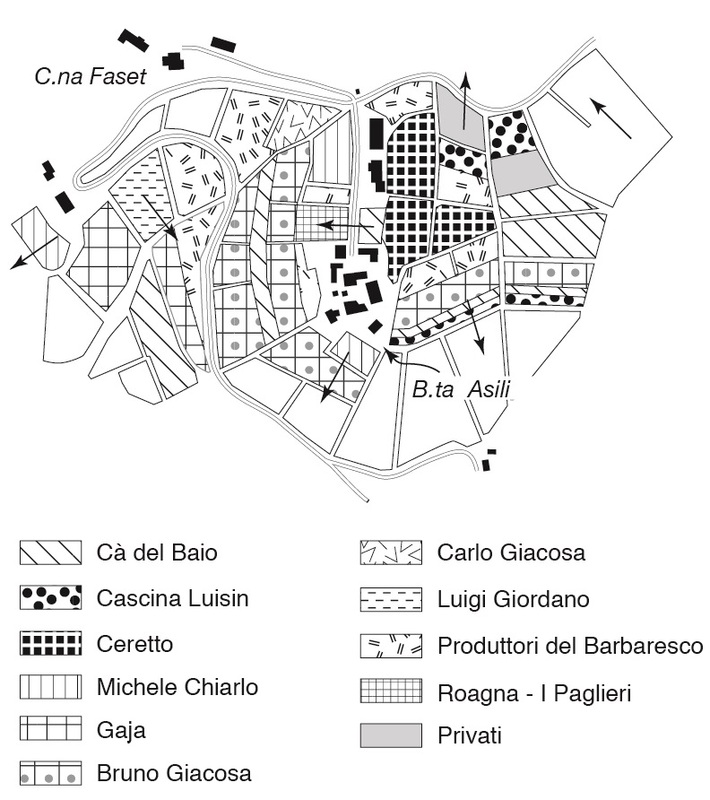 If, in fact, Barbarescos from the Sant’Agata Fossili marls (Asili, Martinenga, or Albesani, just to cite a few examples) can have some points in common with the wines of the Annunziata area of La Morra (excepting Brunate and Cerequio), it is equally true that the Barbarescos from the Formazioni di Lequio (Nervo, Bric-Micca, or Montersino, once again just to cite some examples) have nothing to do with the Barolo of Serralunga d’Alba. In the same way, remaining within the Barbaresco appellation, we can say that if Montefico, Martinenga, and Boito share both elegance and soil type, Serraboella, Montestefano, and Rabajà, even possessing identical soils, express characteristics which have in common solely a greater sense of substance compared to the three previous crus. Having said this and to leave some space for discussion among friends while tasting, we can in any case state, as a general principle, that the most balanced Barbarescos come from Sant’Agata Fossili soils, more complete when from the township of Barbaresco (to which we can add the Albesani vineyard of Neive), and more simple as we gradually move from Gallina towards Serracapelli (with the exception of Starderi). As far as the Formazioni di Lequio are concerned, the style can vary from the leaner Barbarescos of Nervo to the fruiter and fleshier wines found in the bordering vineyard of Bernadot, passing from the fresher and more tannic style of Valeirano and Rombone to the rugged character of Bric-Micca and Serraboella. Exposure: from west to south in the best-exposed plots, north in the remaining parts. 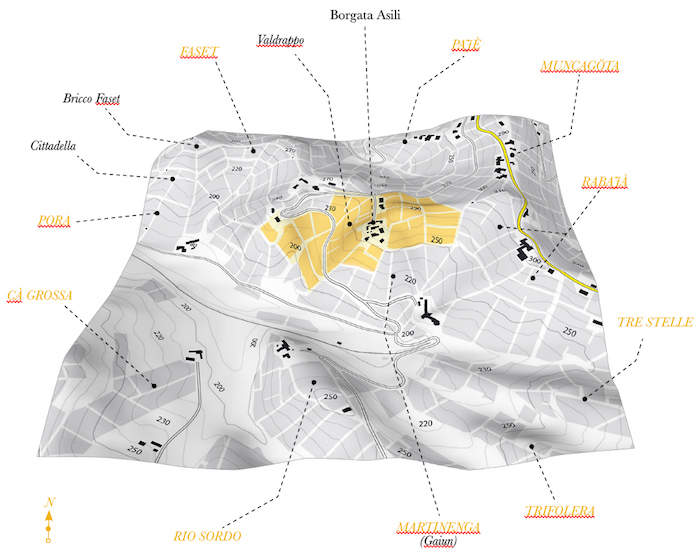 The Asili MGA, which extends in a 360° arc over the hill of the same name, contains a varied series of exposures within its confines. The most famous, as is usually the case, are south and southwest-facing and both overlook and border nearby Martinenga. Cooler, but still at a certain level, is the amphitheater bordering on Faset, whereas the hilltop vineyards with a northern exposure are less interesting. The finest wines, just as those of Martinenga, aim more for elegance than structure, with tannins that are firm but not rough, and a delicate fruitiness. In other words, these are Barbarescos endowed with quintessential finesse. Labels: Barbaresco Asili (Riserva as well) - Cà del Baio; Barbaresco Asili - Cascina Luisin; Barbaresco Asili - Ceretto; Barbaresco Asili - Michele Chiarlo; Barbaresco Asili (Riserva as well) - Bruno Giacosa; Barbaresco Asili - Luigi Giordano; Barbaresco Riserva Asili - Produttori del Barbaresco; Barbaresco Asili Vecchie Viti - Roagna I Paglieri. 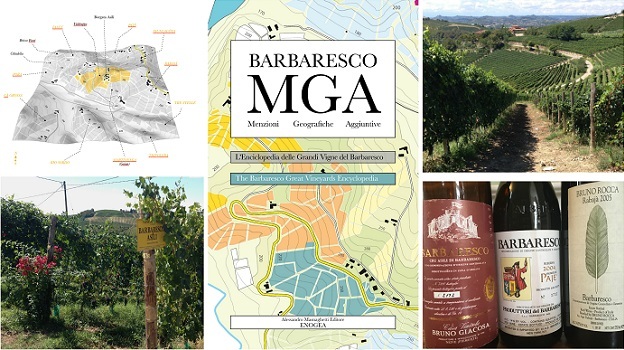 This excerpt is adapted from Barbaresco MGA (Menzioni Geografiche Aggiuntive); The Barbaresco Great Vineyards Encyclopedia by Alessandro Masnaghetti. English translation by Daniel Thomases. Used with permission.